Work in the prevention and promotion of health has always been one of the priority areas in the intervention carried out by the Spanish Red Cross, both with the general population and with vulnerable groups. For this reason, CRE has once again relied on the XOne low-code and Multi-Exxperience Development Platform for the development of an application for the general public called QUIÉRETE, which aims to serve as a reference for leading a healthy life and in the that is available to anyone who wants all kinds of advice and actions for that purpose. The application aims to improve and optimize information on healthy habits, promoting behaviors and healthy habits and disease prevention involving citizens in the defense of their own health. The promotion of these habits and healthy behaviors also entails a series of actions aimed at improving overall health. 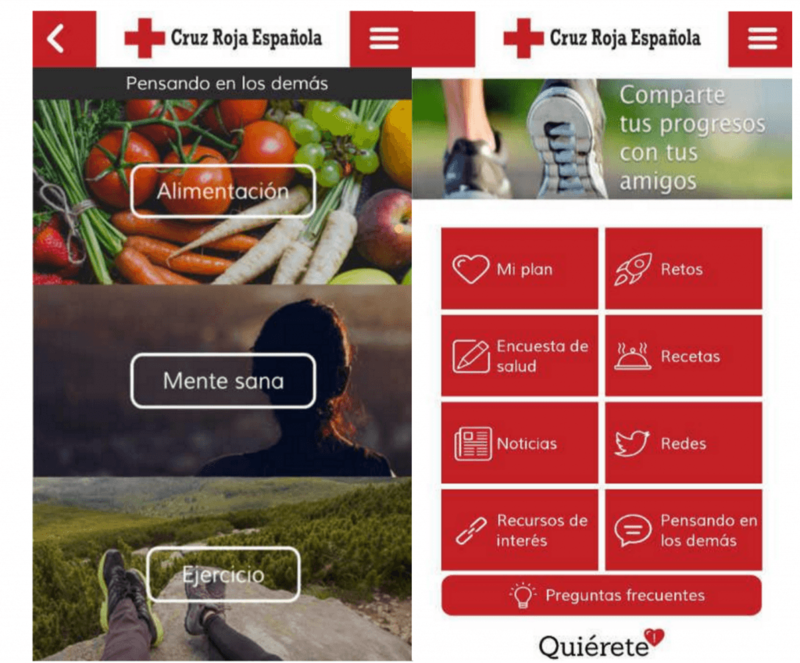 With the launch of the QUIÉRETE application, it has been possible to reach the population with a series of basic recommendations to promote healthy habits in the personal area, with a close tone, eminently practical, as well as maintaining the activation of health promotion messages in a continuous way, trying in this way to modify the behaviors of harmful habits. QUIÉRETE is available for all Android platforms. Red Cross already collaborates with the XOne Platform since the year 2010, date in which other applications were mobilized to improve the quality of life of people in various areas, all of them with great acceptance by users.